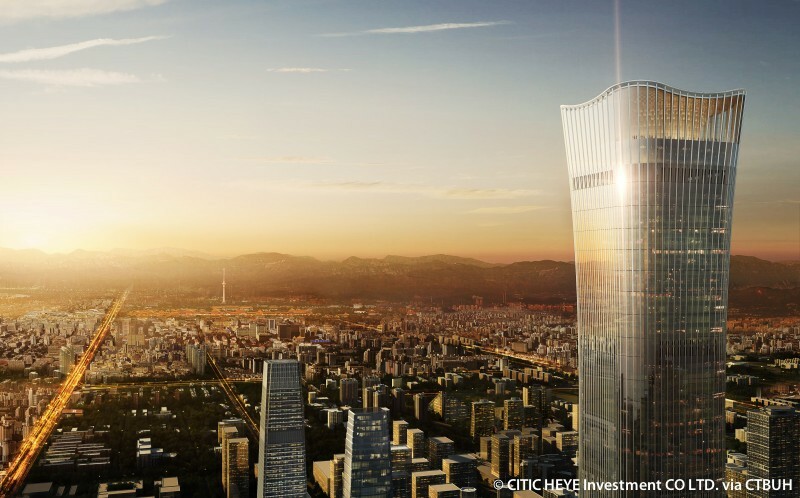 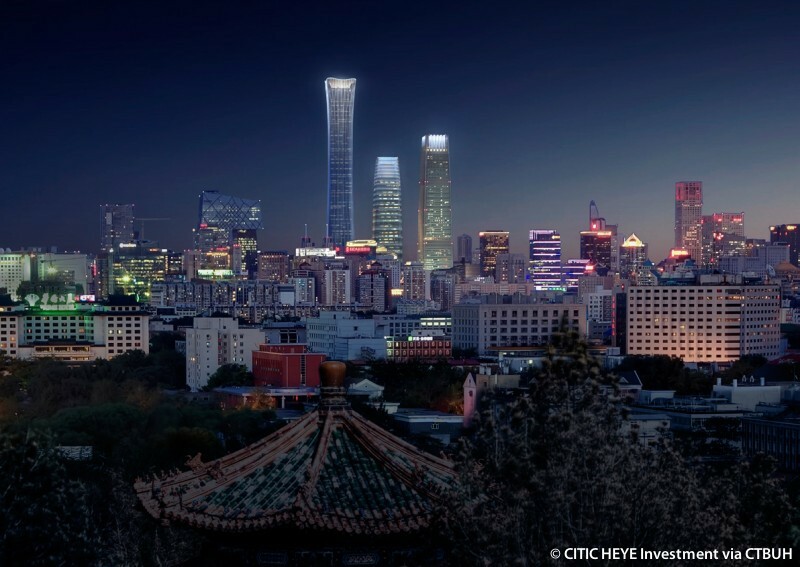 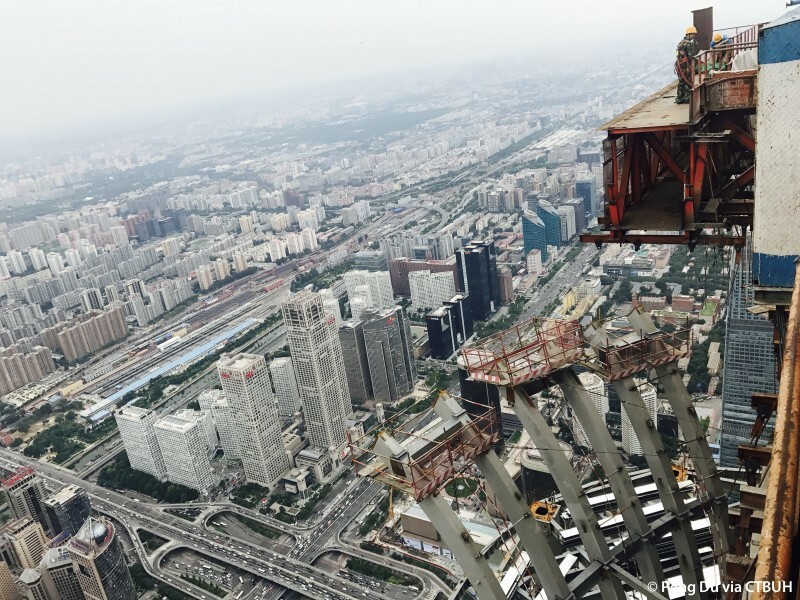 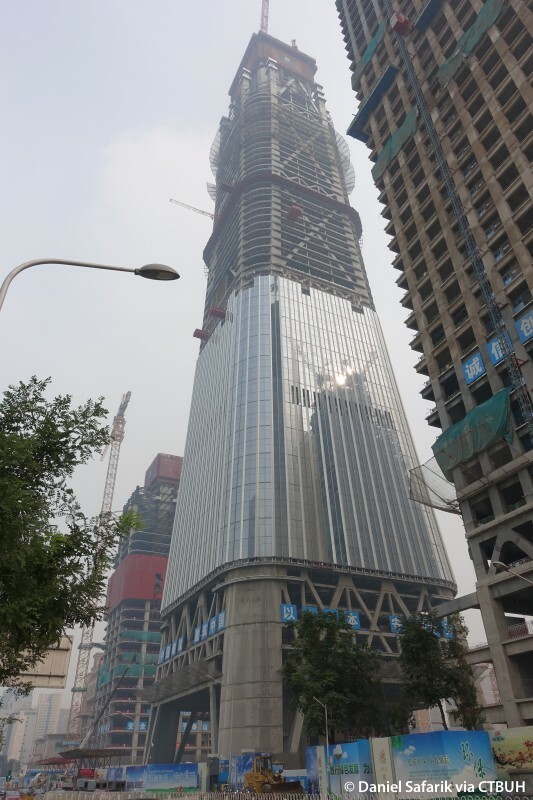 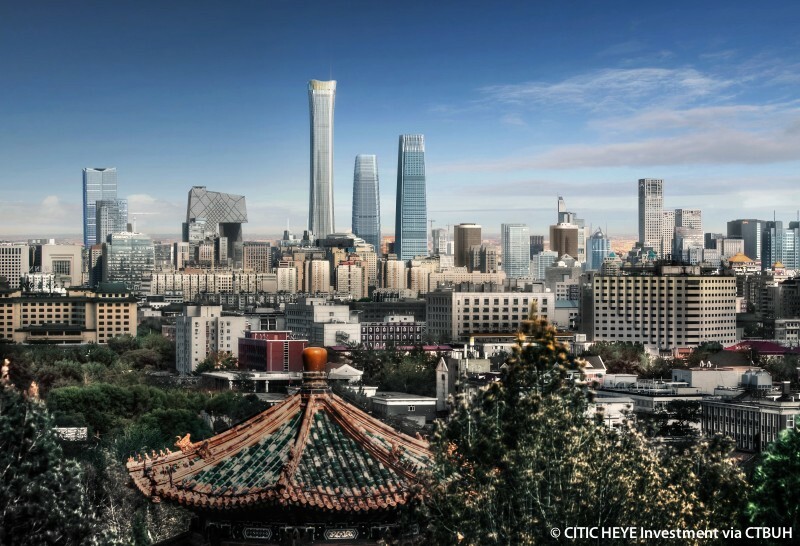 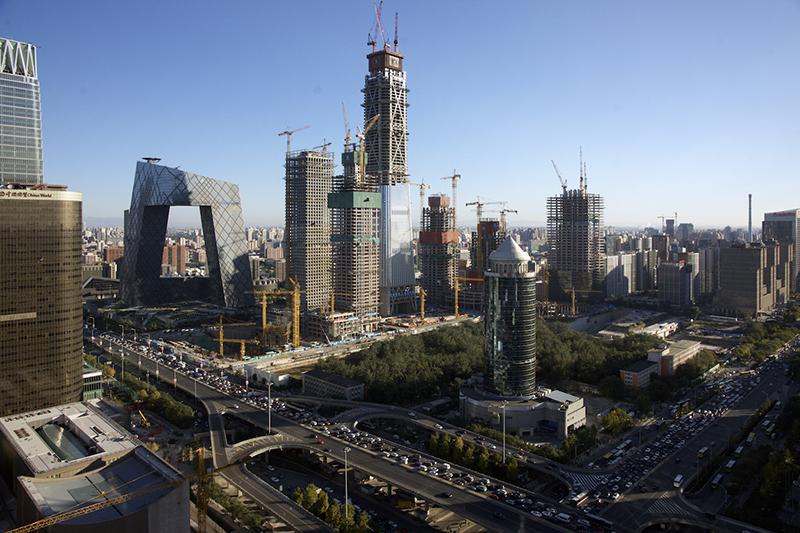 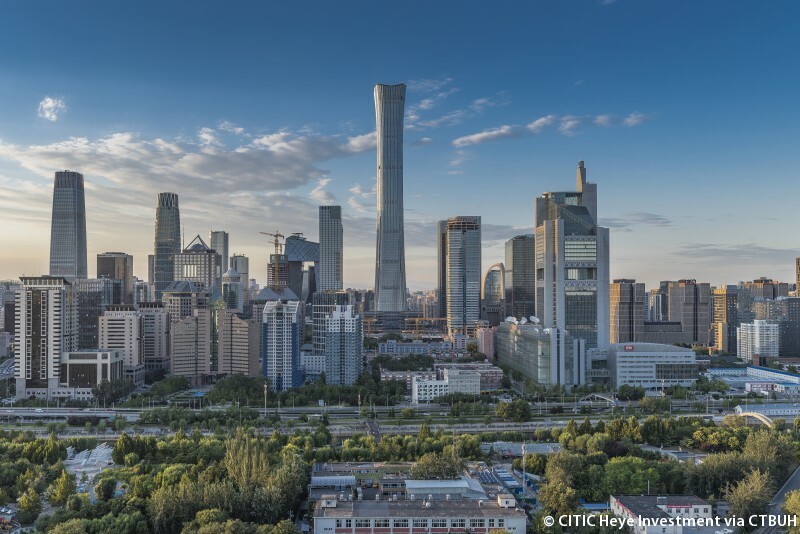 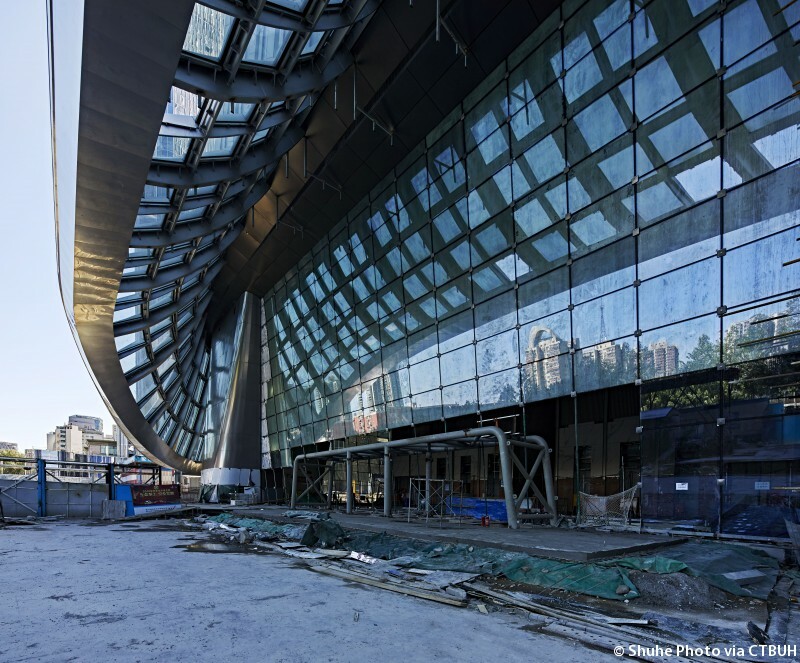 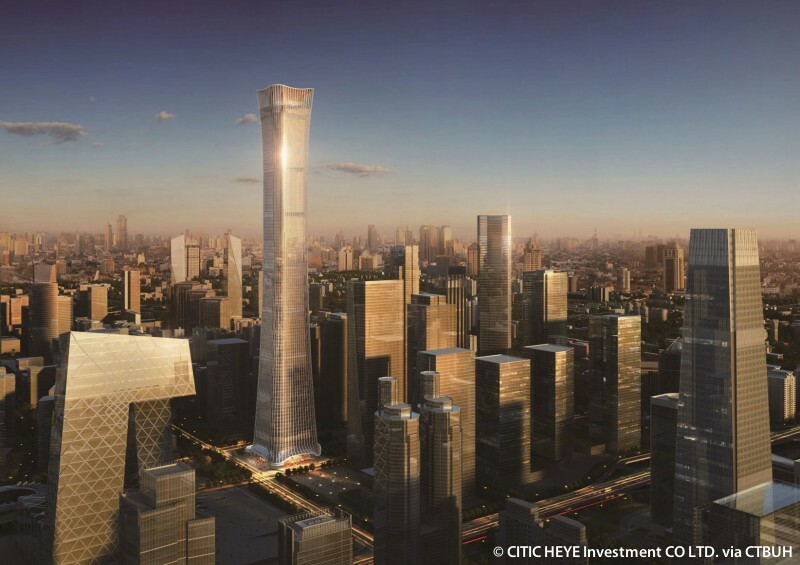 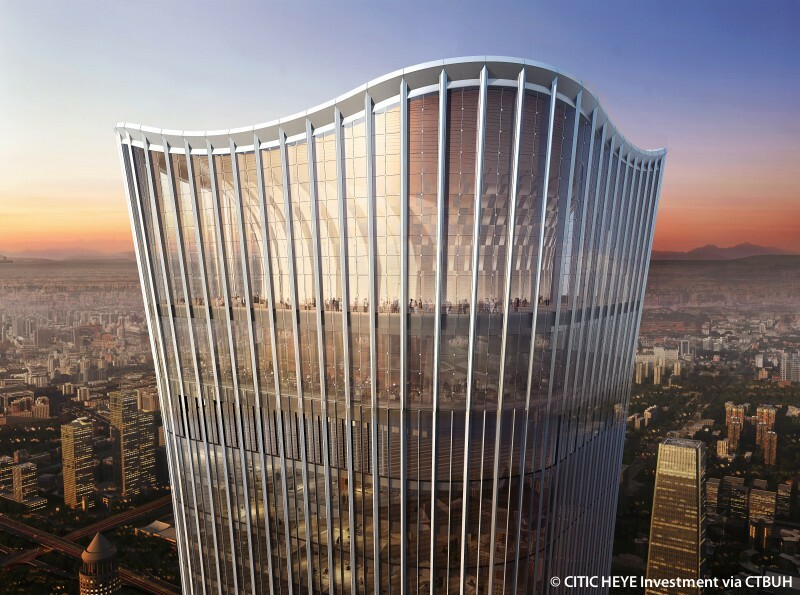 Owner/Developer	 CITIC HEYE Investment CO., LTD.
CITIC Tower will be the flagship building of Beijing’s comprehensively planned 30-hectare central business district core. 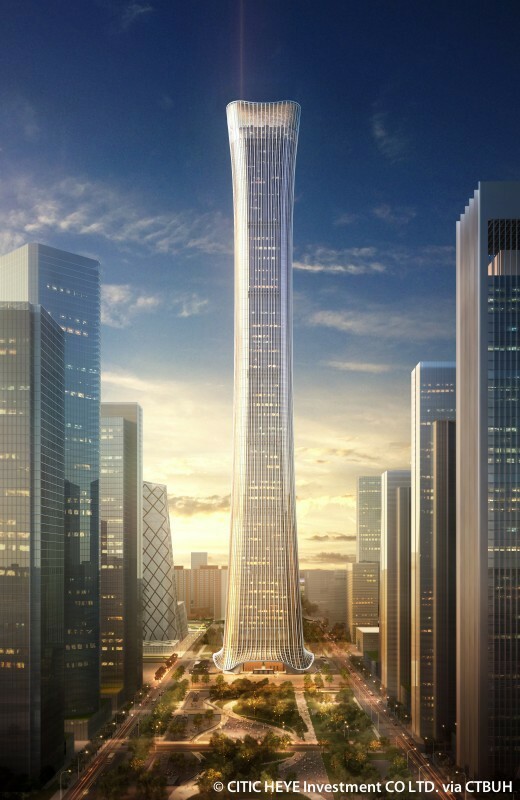 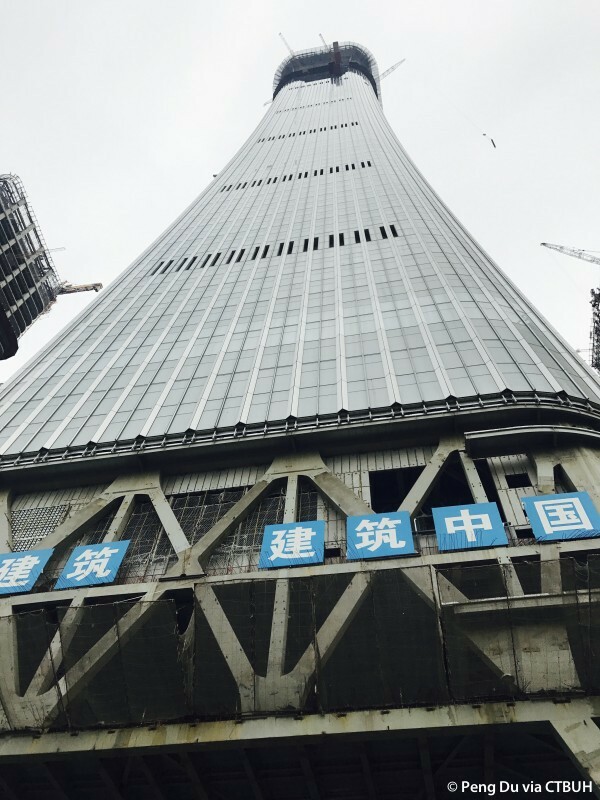 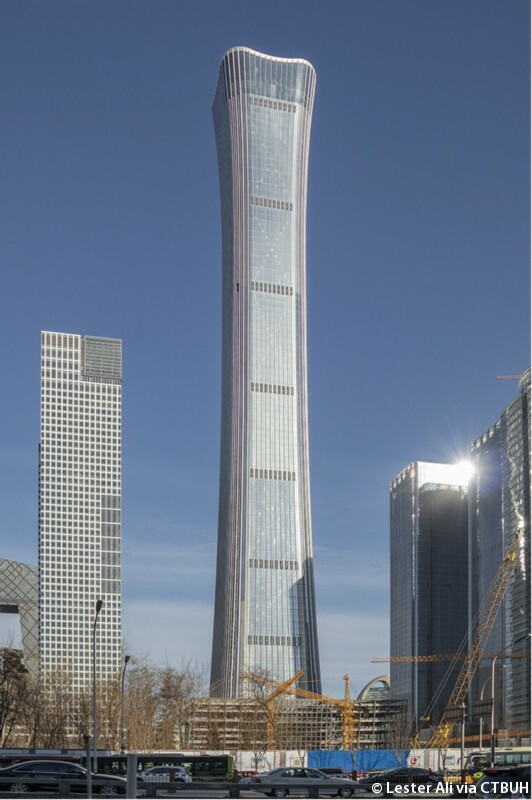 The tower’s gently rising and curving form resembles an ancient Chinese ceremonial vessel, called the “zun.” The design concept is that of a transforming shell that gradually bends to create a dramatic form. 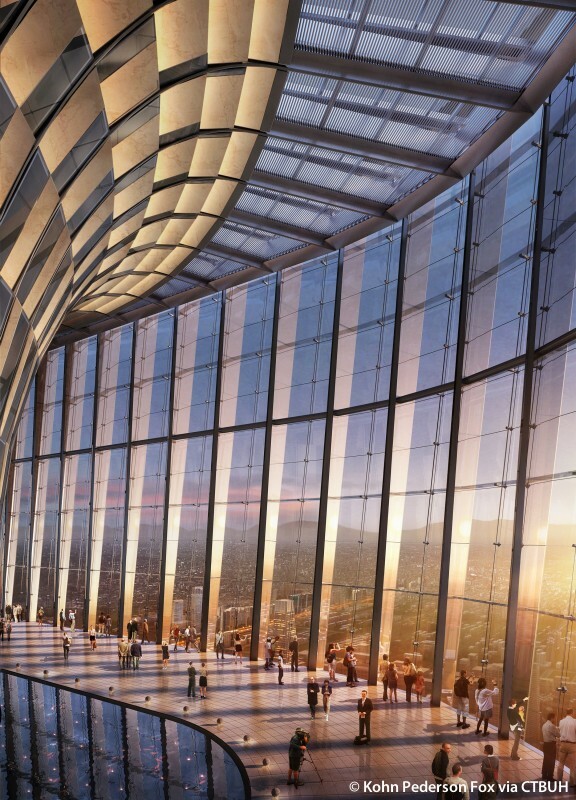 This concept is also applied to other key elements of the tower, including the entrances, ground-floor lobby, and observation deck. 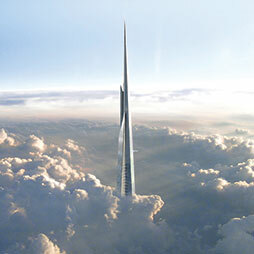 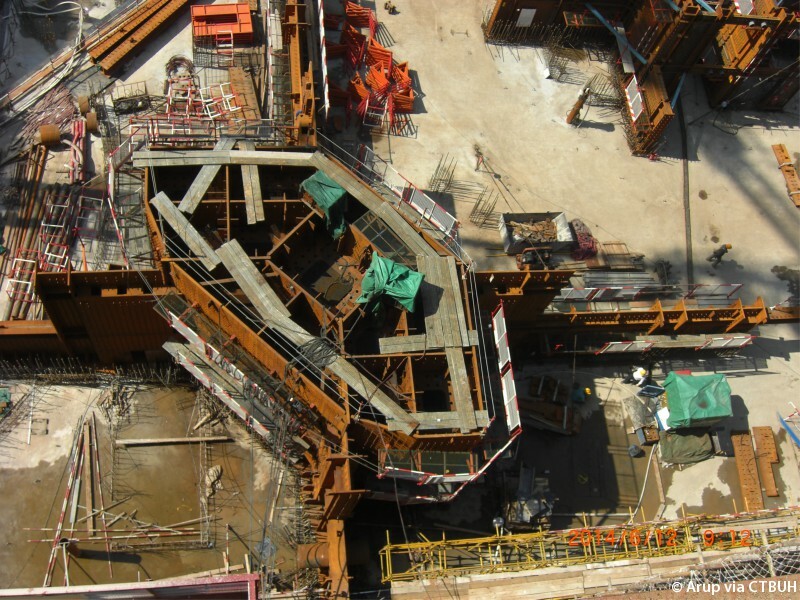 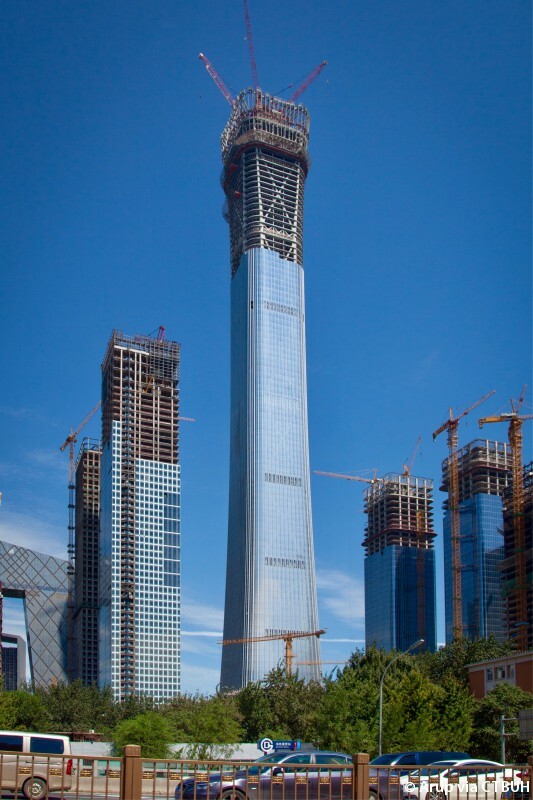 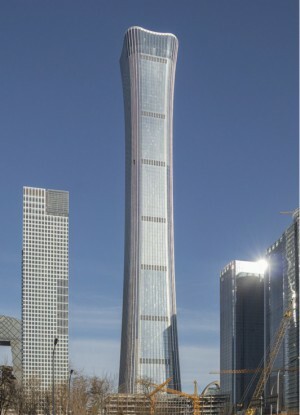 At the base, the tower thrusts into the ground with massive corner supports, while the exterior shell is gently lifted up and stretched forward at the four sides. 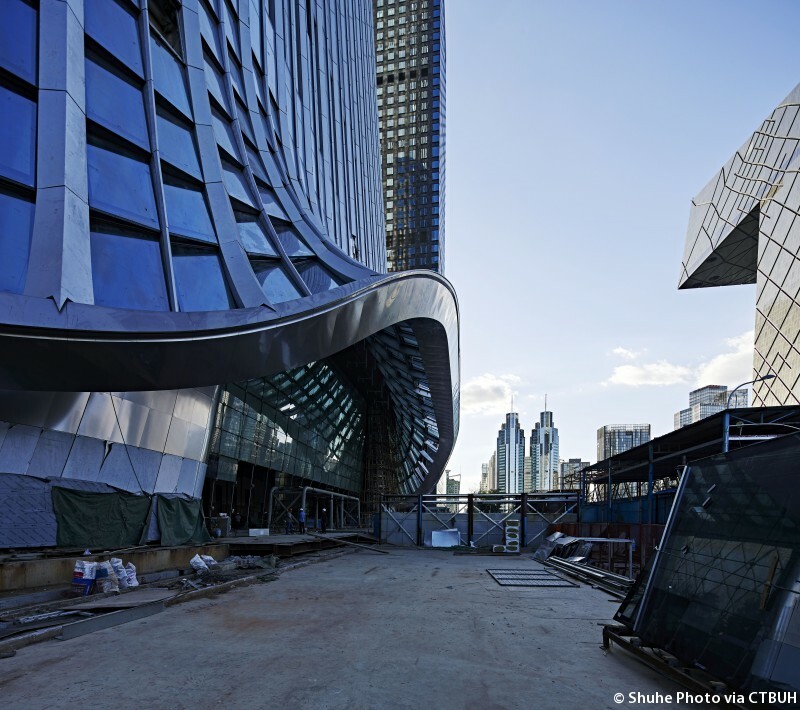 The design physically extends the lobby outward, forming dynamic drop-off spaces. 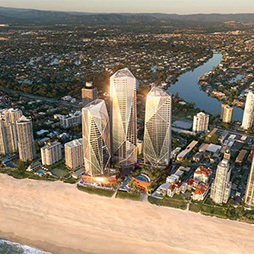 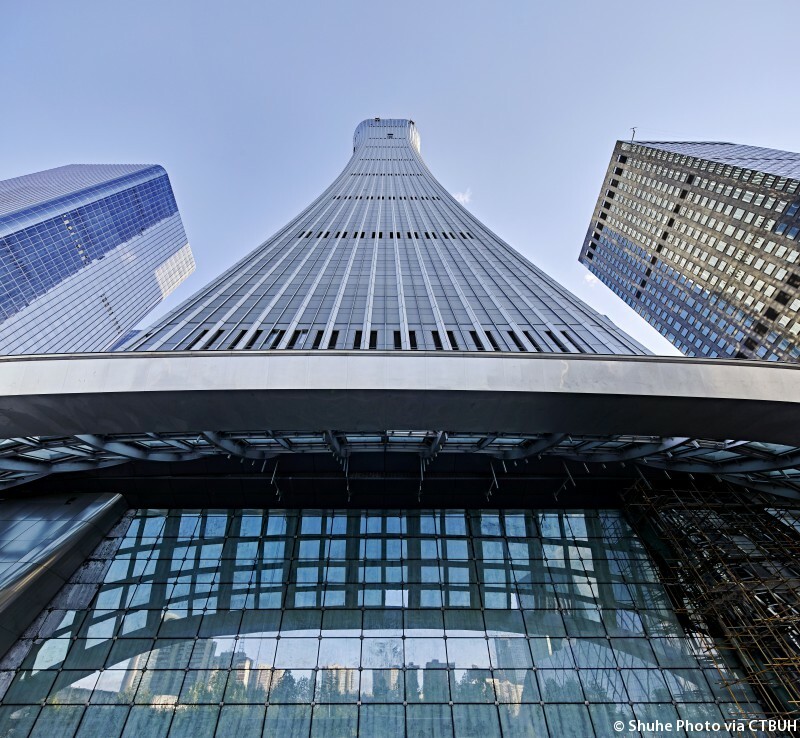 At the top, the exterior envelope becomes more transparent at the observation deck and allows more visibility to the inner trumpet-shaped business center, which lights up at night, forming a beacon that will be visible throughout the city. 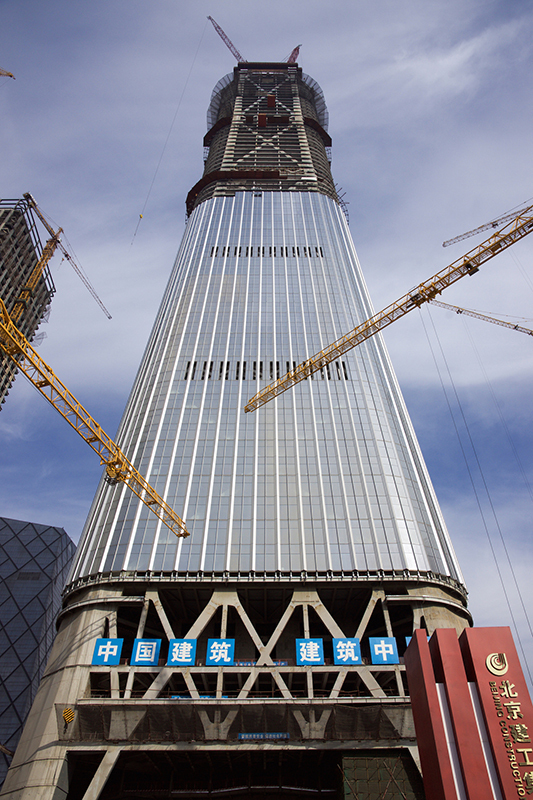 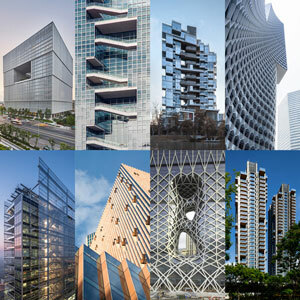 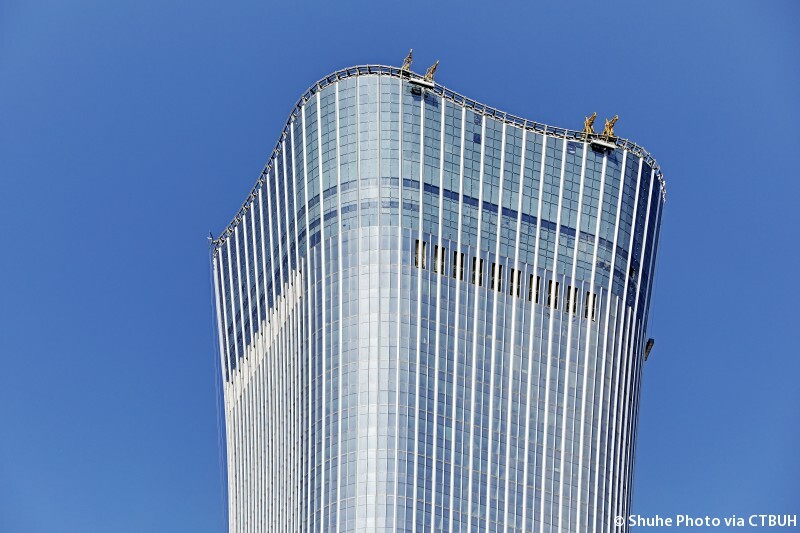 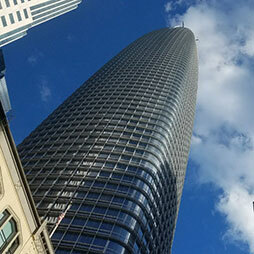 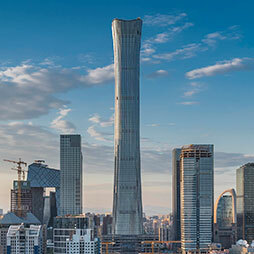 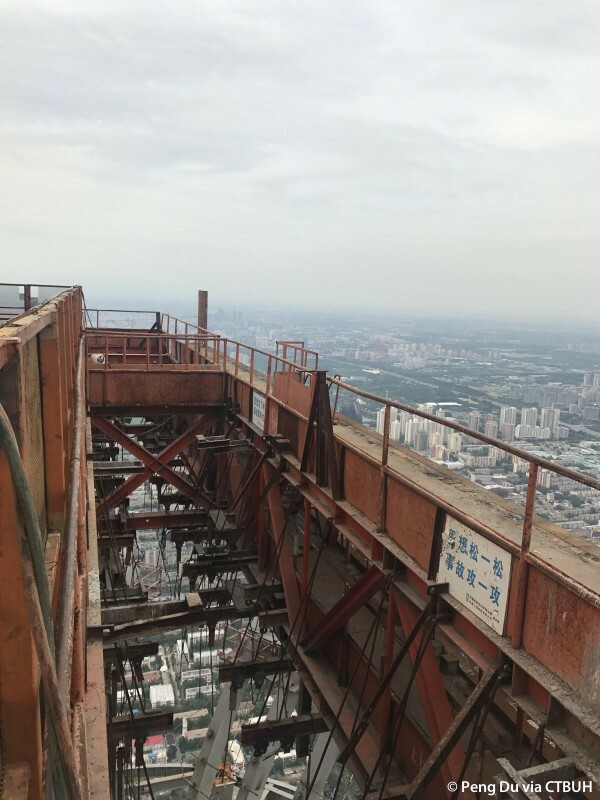 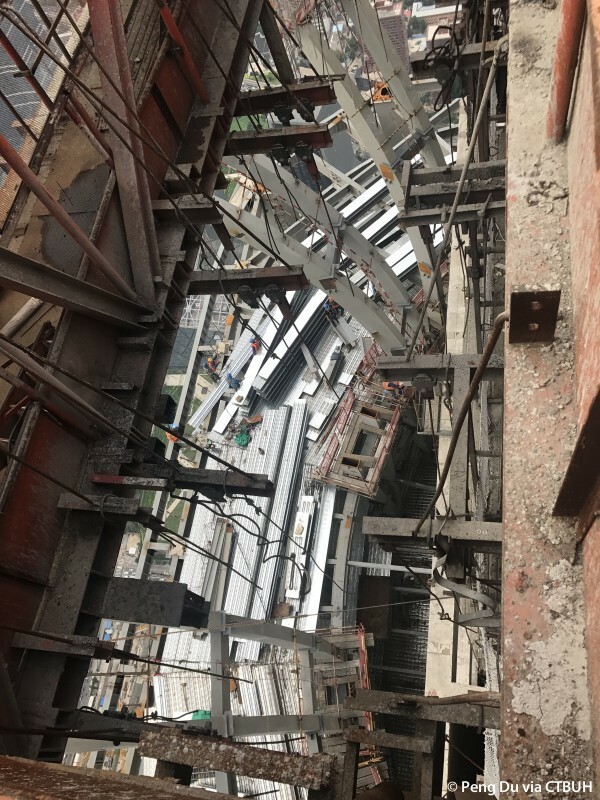 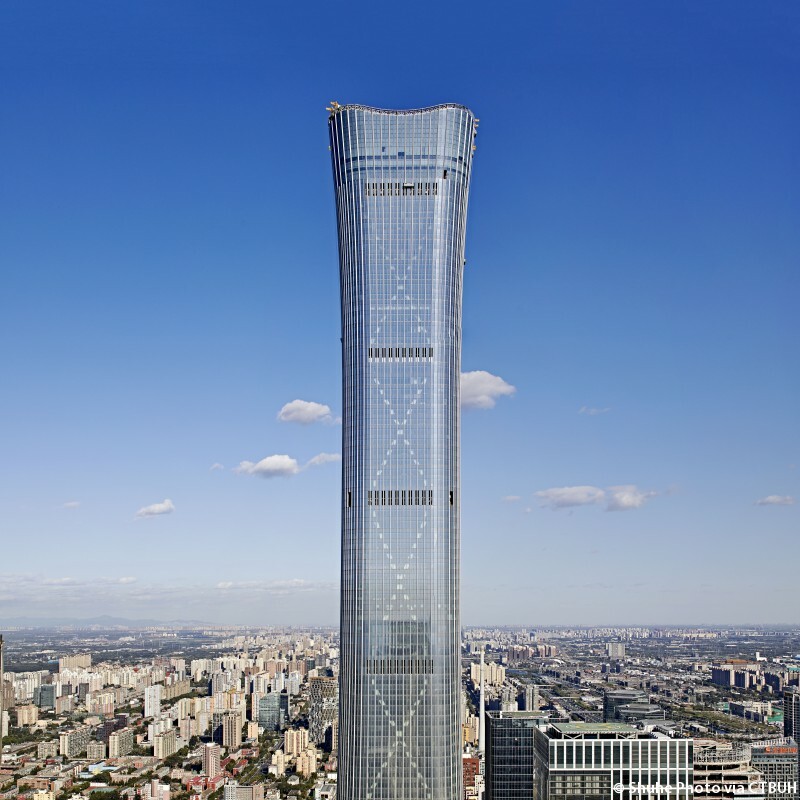 Compared to a typically straight or tapering supertall tower form, the concave tower profile offers more valuable prime-floor spaces and ample space for window washing, as well as other support systems, at the top of the tower. 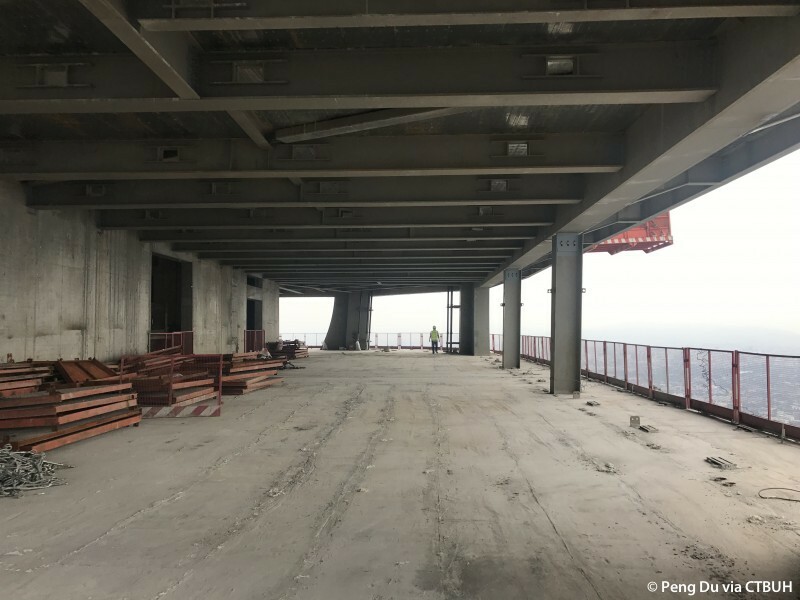 While the large top poses significant structural challenges, the larger base provides an opportunity for structural balance, formal contrast, and preferred core-to-perimeter distances. 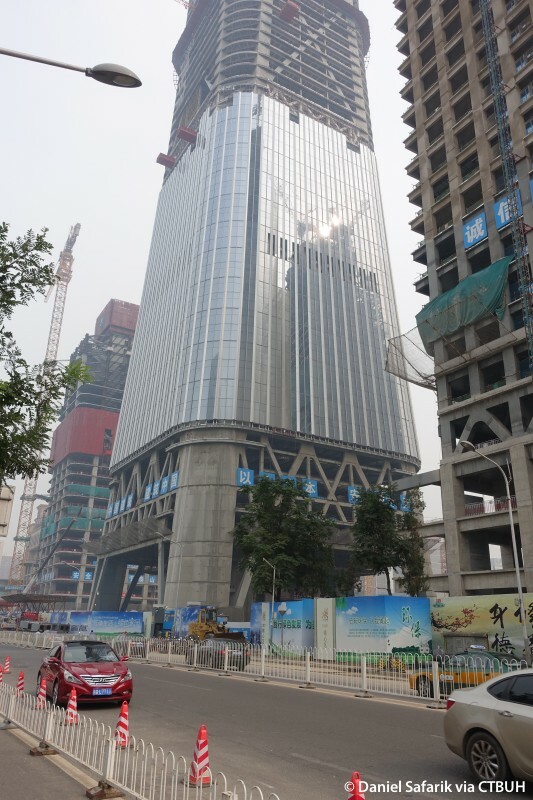 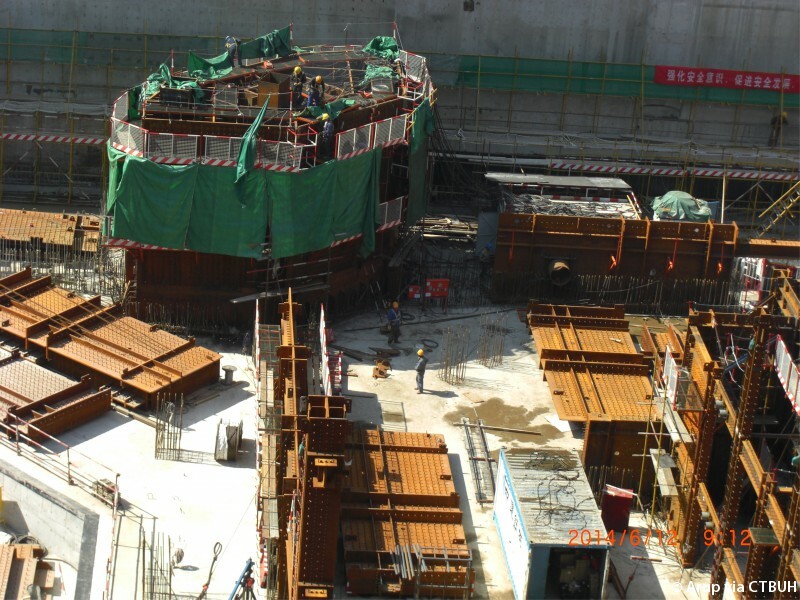 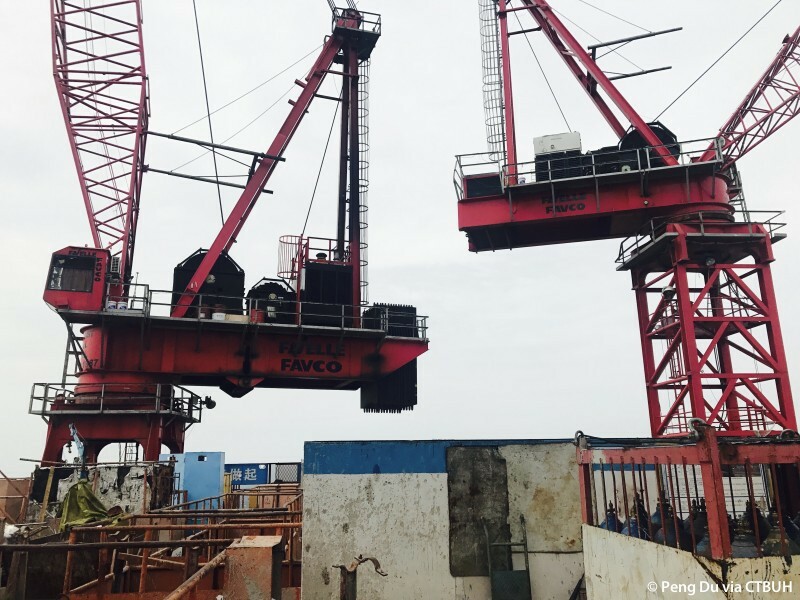 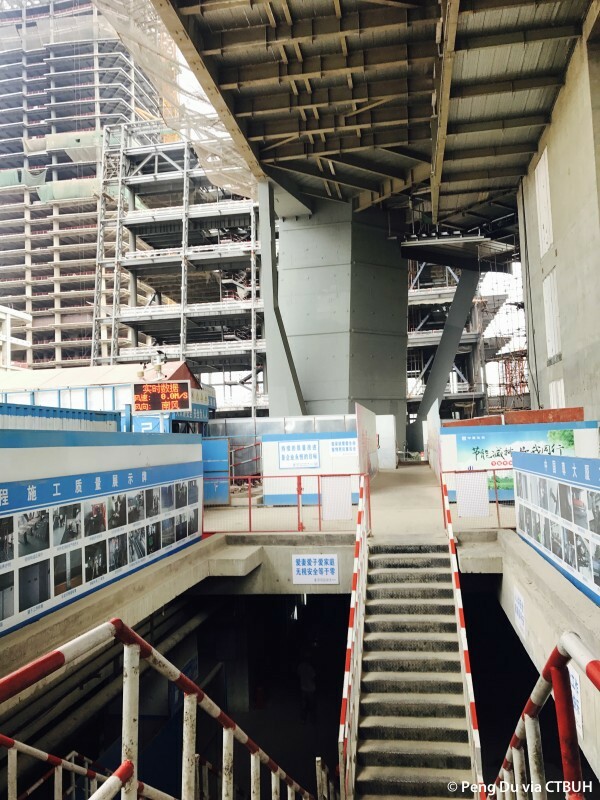 In a city with the highest seismic fortification requirement of the major cities in China, the structural system was particularly sensitive to adjustments in the complex form of the building. 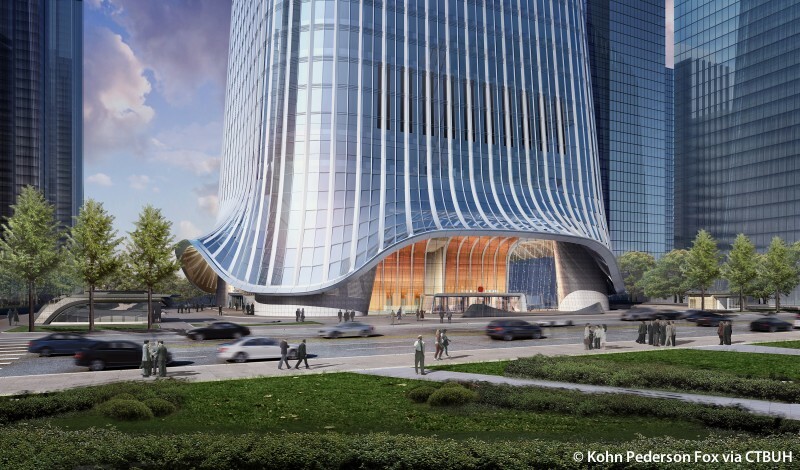 Architects and engineers utilized parametric modeling to greatly expedite the design and coordination process to ensure that the design achieved both an iconic form and a solid structural system. 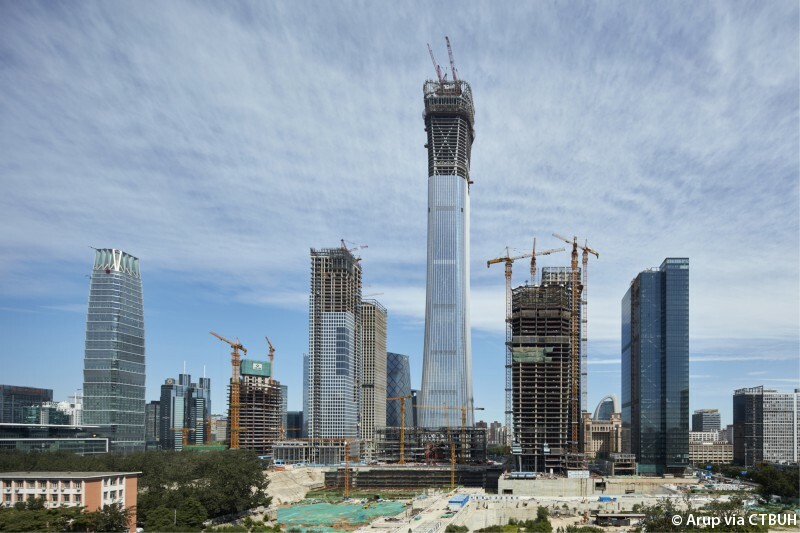 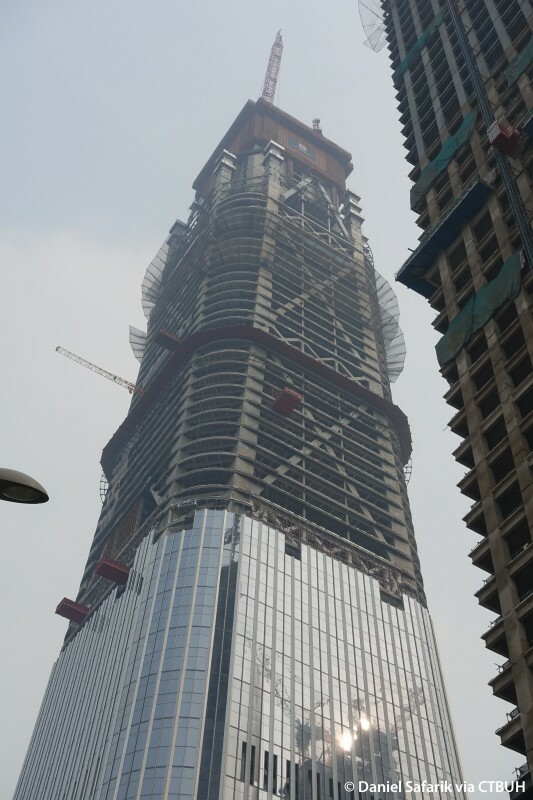 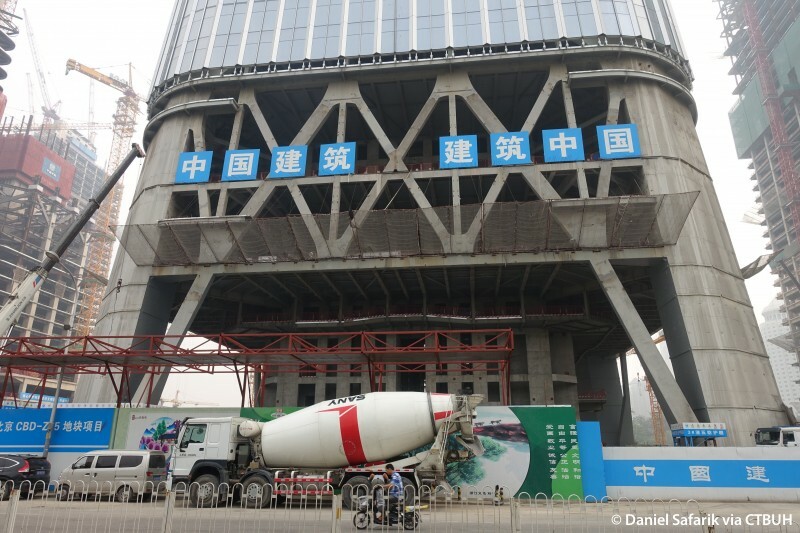 Attendees of the Beijing tour toured the new CBD development on the east side of town, projected to contain 15 towers, many of whose foundations were already visibly underway. 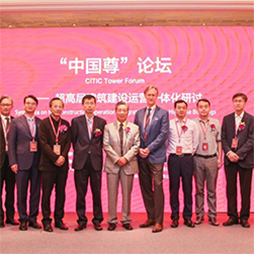 18 Sep 2014 – Vice General Manager, CITIC HEYE Investment CO., LTD.
18 Sep 2014 – 2014 Shanghai Conference Interviews; Vice General Manager, CITIC HEYE Investment CO., LTD.
Jan 2019 – CTBUH Journal 2019 Issue I; Wuren Wang, CITIC HEYE Investment Co. Ltd.